Russia begins a new program, the State Armament Program 2018-2027, that will define the direction of the Russian Armed Forces toward this data. Surely this program is important enough to have its own place in the forum. Until now, the news that try to offer a complete view of the program are so vague, not complete enough. There is better information about concrete news, but in this case allow not to have a complete view. Still is time for a preview and this would be mine, updated. To note that material initially more oriented toward Novorussia can go later to Syria if required. 3.- To finish the process of replacement of foreign components, and a plan for the scrapping, sale or demilitarization of foreign material of the Russian Armed Forces. It would include foreign designs, but not Russian or Sovietic designs produced out of Russia. It means total decommission, including of the reserve, of some material, bolded in fuchsia. 4.- Total decommission, including of the reserve. In the following years, the total decommission, including of the reserve, of the relatively weakest, less standardized and/or less modern material, is likely to come by natural exhaustion after its use by the Russian armed forces, with decommission and scrapping, because of external demand or by transference to non-military Russian agencies of compatible material (also in the case of the point 3). With the likely appearance of Rocket Assisted Projectiles for 125mm (that should have longer range than the 120mm RAP) and longer range rockets of 220mm for the TOS-1, the (M)T-12 would be the alone remaining heavy equipment that must be always inside the range of portable/man-portable weapons of the adversary to do its work, and is likely to be used and totally disappear first. In overall terms, the following list of material bolded in fuchsia, includes the most likely total decommissions, including of the reserve, by 2025. To note that the reportes of large reserves of material like D-30 or BMP-1 do not agree with statistics of production. The large reserves exist but are of more modern material. 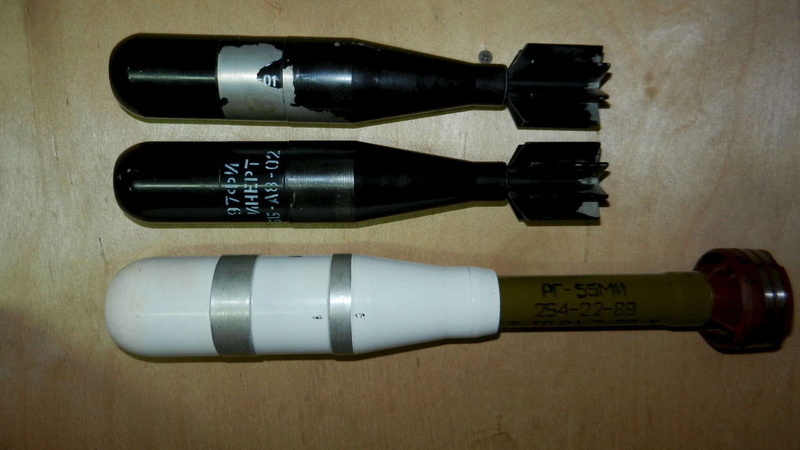 7.- Potential decision about the adoption of standard calibers for launched grenades (30mm, 45mm, 57mm, 76mm, 100mm). For it, the 40mm grenades can be moved to the standard 45mm caliber. It would be an improvement in standardization and also in the power of the projectiles. To note that the GP-25, GP-30 and GP-34 are not in the list of the point 6 because they are a component, but if this decission is made, their production would be stopped too as 40mm grenade launchers. TOS Kurganets compatible with the ammunition of the BM-21, BM-27 and BM-30. TOS Bumerang compatible with the ammunition of the BM-21, BM-27 and BM-30. TOS BMD-4(M) compatible with the ammunition of the BM-21, BM-27 and BM-30. Tu-330 (in the Tu-204/214 5th size class with around 40 tons payload). Mi-46/AHL (in the An-72/71/74 7th size class with around 15 tons payload). Il-106/PTS Ermak 80 (in the An-22 3rd size class with around 80 tons payload). Il-276 (in the An-10/12 6th size class with around 20 tons payload). PTS Ermak 160 (in the An-124 2nd size class with around 160 tons payload). Tu-304/Frigate Freejet (in the Il-62 4th size class for double configuration: 1 mid passenger capacity + long range, 2 high passenger capacity + mid range). New Aircraft (in the Il-76/78 Be-A50 4th size class with around 60 tons payload). CRAIC CR929 (in the Il-86/80/96 3rd size class for high passenger capacity + long range). Ka-40 Minoga (in the Ka/27/28/29/31/32/35 9th size class with around 5 tons payload). New Helicopter (in the Mi-26/27 6th size class with around 20 tons payload. MS-21/Yak-242 (in the Tu-204/214 5th size class for mid passenger capacity + mid range). New ammunition for the 125mm tanks of range over 17.5 Km to allow them to fight also from outside of the range of man-portable weapons of the adversary. New ammunition for the TOS-1 of range over 17.5 Km to allow them to fight also from outside of the range of man-portable weapons of the adversary. And is very likely that Russia avoids more redundant projects. There is enough work to finish the non-redundant projects in order to finish a complete new generation of equpment by 2025. In the previous list of key projects, there are not projects that create redundancies. In overall terms, it is necessary to analyze if the redundant projects in development, and the rest of the new projects cited not until now which first unit reached not the Russian Armed forces according to the public reports or have not been officially ordered, maybe only a distraction of efforts and funds. - Demilitarization by transfer to other non military gouvernmental agencies (in the case of this poll would be more for the foreign material). Filnally, there is a potential decission to be made. It is about the adoption of standard calibers for launched grenades (30mm, 45mm and 73mm, the last likely to disappear in the future). For it the 40mm and 43mm grenades can be moved to the standard 45mm caliber. It would be an improvement in standardization and also in the power of the projectiles. Note that the GP-25, GP-30 and GP-34 are not in the list of the point 5 because are a component, but if this decission is made, their production would be stopped too as 40mm grenade launchers. To highlight your error, you just see the numbers and ignore the reality... with a list of grenade launchers you are lumping all sorts of unrelated things together and coming to all sorts of conclusions. First of all you are mixing calibres up... the Russian Army uses the 30mm automatic grenade launcher.... AGS-17 and then the newer lighter AGS-30. The likely replacement for these weapons will likely be the Balkan which fires a new 40mm grenade. It is a new caseless round much like the 40mm grenade used in the under barrel grenade launchers you mention but with a range of 2.5km I would doubt they will be compatible with those launchers. The 40mm grenades you talk about are for underbarrel weapons and are different, the 43mm rounds you also talk about are for the interior ministry troops and riot control and are not used by the Russian Army AFAIK. 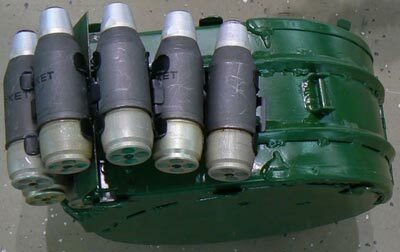 The 45mm grenades are Navy only and look like little rockets and are used pretty much as depth charges for use against underwater targets like divers. The 73mm calibre grenade launchers I assume you mean the gun of the BMP-1 and the SPG-9 recoilless rifle. In this case the 30mm grenades for the AGS-17 and AGS-30 they will likely be replaced fairly rapidly with the introduction of the 40mm Baikal a smaller more compact weapon firing a longer ranged more powerful grenade. There are no 45mm calibre weapons that could replace the under barrel grenade launchers. The main gun of the BMP-1 was replaced by the 100mm gun of the BMP-3 in terms of a HE weapon. In terms of the future I would say the 73mm will go first, though there are plenty of 73mm weapons that will continue like disposable rocket launchers in that and other calibres. The 45mm calibre will remain a niche calibre for the navy. The 40mm will remain in the Russian military the heavier rounds eventually replacing the 30mm grenades while the lighter rounds remaining in use in under barrel weapons. So, you from New Zealand pretend to be the land based opinion? Let me laugh please. Your comments on calibers always have the same flaw. Your view on calibers only includes the Army. And the decissions on calibers must be made for the entire Russian Armed Forces. Only taking into account the entire Russian Armed Forces is possible to make decisions right and to give the right steps on normalization and standardization. I commented in the point 1 how I expect (because is necessary) the adoption of common standards for the different branches of the Russian Armed Forces. This is one case of many where this can be applied. But even going further, because the caliber system is a question that affects to all the branches, not only to the most related between them. In many cases the common standards for all the branches will be close to the standards applied in the Russian Army, specially in the refered to the safety of the crews for new combat equipment, but in this case, the Russian Navy has a better situation and is the Russian Army who may have to give the biggest steps toward a normalization of the measures used by launched grenades toward the system of standard calibers. Traditionally the surface-air, the surface-surface missiles and rockets and the launched grenades have been out the normalized system of calibers of the Russian Armed Forces (not of the Russian Army). In the case of the Surface-Air and Surface-Surface missiles and rockets the normalization is almost impossible, because of the high number of measures used, in many cases far bigger than the normalized calibers, but in the case of the launched grenades is easier, like it was explained in the paragraph you cited, despite to require also an important change, specially for the Russian Army. 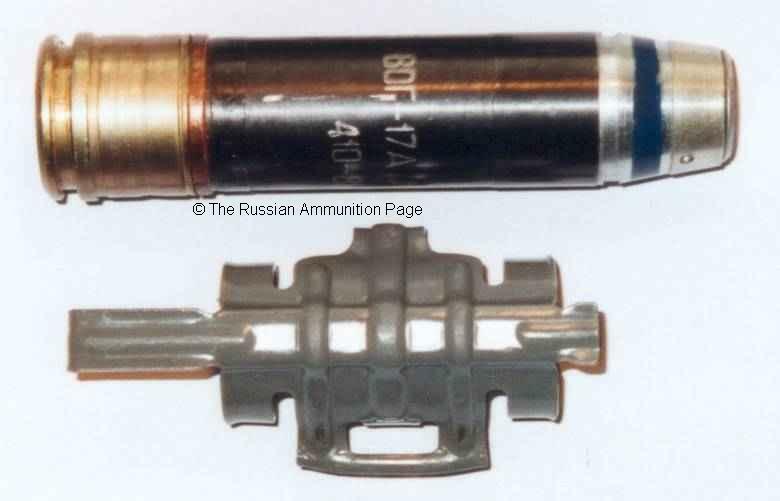 The 3 standard calibers cited (30mm, 45mm and 73mm) are used today for launched grenades of the Russian Armed Forces, and are inside the normalized system of standard calibers of the Russian Armed Forces. Also the 57mm and 76mm calibers would be usable for this purpose (and in the future likely will be, but today not still), while the 73mm caliber is declining as standard caliber (only used by the BMD-1 and the BMP-1, since its use for some SA or SS rockets/missiles does not make the caliber standard). A decision like this would affect only to the 40mm launched grenades, and it would have an effect today only at a production level and in the refered to the new projects. Also it would be possible to accelerate the transition to standard calibers with the sale of part of the current arsenals of these weapons, components and ammunition. Nothing out of touch or expensive. In the case of the 40mm measure, despite to be of bigger use, today only is used in components attached to other weapons, until the point that I had to include the last paragraph you cited, to have new of it, because there is not a single weapon that uses this measure as primary armament. While there is some project (like you mentioned) to include them as independent weapon, if there is a reflection on the standardization of the launched grenade measures to the system of standard calibers in the State Armament Program 2018-2025, likely will not advance to the Russian Armed Forces. But that is my point... you talk about 40mm weapons being replaced by 45mm weapons without even looking at the weapons in those calibres. Decisions made about calibres only make sense if you look at what those calibres are capable of doing and how each is being used. Also if you are talking about standard calibres why mention the 45mm calibre range of grenades used by the Russian Navy and not mention the 55mm calibre grenades also used by the Russian Navy? The DP-64 launcher fires 45mm grenades and is hand held... it is a twin barrel weapon that is shoulder fired. the older DP-61 is a single barrel weapon previously used in that role and is also 45mm calibre and uses the same rounds. the MRG-1 and DP-65 are multibarrel grenade launchers for the same role but use a heavier 55mm grenade. You suggest that the Russian Army should drop its 40mm underbarrel grenade launchers in favour of a 45mm weapon, yet the ammo is totally different, with different uses and different performance and are not compatible in any way. So why replace the 40mm rounds with 45mm rounds when they could use even heavier 55mm rounds instead? equally useless for replacing under barrel grenade launchers... the DP hand held grenade launchers are the size of RPG-7 launchers so there is no chance a rifleman could carry that in addition to his other kit in combat let alone the grenades which are the size of rifle grenades. the 43mm grenades are weak because they are designed to be used by police in riot situations... they are stun grenades with light fragments designed to not injure bystanders.... intended for MVD use. There is no point in standardisation of such rounds as the Army or Navy or Air Force would not need such rounds. The point in the standardization of the launched grenades of 40mm to 45mm, would be more in to unify the different types of grenades to a single type of external format, of cover, to have the chance of firing all them with every grenade launcher of 45mm. Like is done in many other calibers, every type of launcher of 45mm should be able to fire all the types of grenades of this caliber, like a tank of 125mm is able of firing projectiles for different purposes and with different ranges. Today there are not launchers of 45mm of the last 2 types, but the effort of developing them compatible with an entire range of 45mm grenades for different purposes for the 3 types of launchers would be fairly low. This is what I would expect. Clean and easy. eehnie wrote: So, you from New Zealand pretend to be the land based opinion? Let me laugh please. Thats the lamest thing I've read on your posts so far. Maybe you are wiser than all of us, but that should make you more gentle. GarryB wrote: you just see the numbers and ignore the reality... with a list of grenade launchers you are lumping all sorts of unrelated things together and coming to all sorts of conclusions. being false like it is. That doesn't make your comment justified. You are claiming you know better than him, so you should apply logic and facts. But here you are proposing upgrades of Scud, P-15 and concluding someone lives in New Zealand so so he must be a noob about ground forces. This is not right. I answered. My comment opening the topic has nothing of this what you say. He is who tried to discredit my opinion trying to appear like the realistic opinion based on knowledge from the ground, not from the numbers. Something false. Your credit is being rapidly wasted. 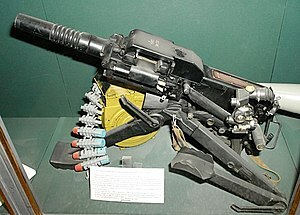 So it is your contention that the way forward for all the military services of Russia to take the 45mm calibre round of the naval grenade launcher and adapt it to the uses of the other services so it can replace the 30mm AGS-17/30 and the various under barrel 40mm grenade launchers? Look at the 45mm naval grenade launcher... it has a rather long twin barrel arrangement. Compare that with the 400m range of the 40mm under barrel grenade launcher and their barrel length and you immediately work out there is something very different here. Equally look at the barrel length of the 30mm grenade launcher and consider its 1,700m range. Now think about the recoil forces generated making a 45mm projectile fly anywhere near 1.7km... have you seen a 50mm mortar before? The problems are pretty clear when you look at the usage of all these three systems. The Balkan 40mm grenade launcher has a range of 2.5km with a much heavier grenade and will likely replace the AGS series of 30mm grenade launchers. the under barrel grenade launcher does not need to hit targets 2.5km away... 400m is just fine so it will continue to use different 40mm grenades than the Balkan. The 45mm and 55mm naval grenades will also continue to be used because the larger calibre is needed for the more complicated fuses these grenades use to be used as depth charges against divers and other underwater targets. Don't be mistaken... I support the unification of calibres... I think the new generation of engineer grenade launcher RPO-M that can fire a range of rounds makes a lot of sense and the new RPG-32 is clever as well combining an aiming system for 72mm and 105mm disposable grenades for anti armour and anti personel use, but it has to make sense too. The 45mm grenade of the Russian navy is not compatible with automatic weapons and is too large and requires too much barrel length to be useful under an assault rifle. Which are the technical limitations that make not possible a range of projectiles of 45mm with different ranges for different purposes that can be compatible with the 3 types of launchers? Obviously GarryB knows not the answer to this question. If he would know it, would not be saying stupid things. A senior shoe-shiner knows not what he knows not, but still thinks he knows enough to fail to the respect to other people. A senior shoe-shiner uses lack of respect to make other better technically skilled people to avoid discussions with him (and in this forum there is a good number of them). - A senior shoe-shiner see a 45mm launcher of long barrel but of very low pressure, and thinks there is not other way for the use of 45mm launched grenades. - A senior shoe-shiner see 45mm grenades of very low pressure, and thinks it is not possible to increase the pressure respecting the external configuration of the grenade in the measures that affect to the compatibility with the launcher. - A senior shoe-shiner see only 40mm underbarrel grenade launchers and thinks only this measure is possible. Because you know, a barrel with 5mm or 7mm bigger diameter is killer for the use, of course not doable. - A senior shoe-shiner see not recoil-less technics applied to 45mm grenade launchers, and thinks it is not possible to apply them to this caliber. Like if far bigger weapons like the 73mm SPG-9 designed in the early 1960s would have still problems with the recoil. - A senior shoe-shiner thinks in a 45mm grenade of 1.5/1.8 Km of range available in the mix for an underbarrel launcher and thinks the soldier can not continue firing grenades of 500m of range. Which are the technical limitations that make not possible a range of projectiles of 45mm with different ranges for different purposes that can be compatible with the 3 types of launchers? If you have to develop two new types of grenades and two new types of launchers then there is no real saving in sharing the same launcher and grenade calibre if they are totally different. It is like in WWII when the standard Soviet Pistol calibre was 7.62 x 25mm in the form of the TT-33 Tokarev pistol, It did not matter that the other 7.62mm pistol calibre was the 7.62 x 38mm round for the Nagant revolver because they were totally different rounds that were not interchangable. What did matter was that if your unit had lots of SMGs then the 7.62 x 25mm could be used in those, but if you had 7.62 x 54mm rifles the pistol ammo was of little use. This shows standard calibres have advantages but aren't always as useful as they might seem. Another example is the 12.7mm anti material rifles.... sure they use the same cartridge as the HMGs in the army and navy and air force but a HMG round is of little use to an anti material rifle user except at very short range due to the lack of accuracy of MG ammo compared to the almost custom made AMR rounds. OK, so the long barrel low pressure weapon fitted with the enormous rubber buttstock is a low pressure weapon... do you really think that to make it a longer range weapon it is simply a case of making it higher pressure... do you think that will increase recoil and make it even more impossible to fit under an assault rifle? Do you think the hand loaded 45mm grenades that look like small mortar bombs will be compatible with an automatic grenade launcher? The thing is that to be useful to replace the 40mm under barrel grenade launcher it needs to be small and compact and light, yet reach 400-500m targets. In its current configuration with a huge barrel it can manage that performance but reducing the weapon size to fit under any type of rifle would mean it would either lack the range or would rip the shoulder of the user when fired. Someone is confusing recoilless rifle rounds with grenade launched rounds... how are you going to direct the rear blast from such a weapon mounted under a rifle? Or on an automatic squad support weapon? They already have a 40mm recoilless rocket launcher it is called the RPG-7 and it does not replace the AGS-17/30 or the under barrel grenade launchers either. You have posted images of the weapons in question... now post images of the different ammo types and you might understand what I am talking about. They don't need a 45mm rocket launcher.... the RPG-16 was a 57mm rocket launcher. They have an enormous variety of disposable rocket launchers options already from the RPG family (RPG-18/22/26/27/28) through engineer rockets (RPO-A, RPO-D, RPO-Z, in 93mm calibre, the medium weight models in 72mm calibre, and of course the 105mm calibre models like the RShG-1 and 2. In fact in the future the Navy will continue to use the 45mm rounds because they are still effective, and the Balkan is being introduced and will likely replace the 30mm calibre automatic grenade launchers. AFAIK there is no replacement in any different calibre for their under barrel rounds as they are still very effective in the role they perform... and the 43mm grenades are specialised police rounds so military rounds wont replace them either. This is a grenade of the new 40mm Balkan launcher. Is this like a small mortar projectile? Is this like a RPG-7 rocket? Do you pretend to look serious comparing a launched grenade with artillery systems (small mortar) or surface-surface rockets (RPG-7)? No-one said that a mortar of 40mm or a RPG-7 of 40mm must be mounted underbarrel. Only a grenade launcher compatible with all the types of grenades launched by similar weapons, in order to advance in standardization and in order to provide aditional advantages to the soldiers (better range, more powerful grenades to launch, better compatibility of weapons and ammunition,...). Try to answer in technical terms, like an engineer. The question is clear. PS: And yes, recoil-less design technics can be applied to potential grenade launchers of 45mm, very likely in the needed measure. In this topic there is a good number of off topic comments by T-47 and some pretend to be offensive. It would be positive to move them out. eehnie wrote: In this topic there is a good number of off topic comments by T-47 and some pretend to be offensive. It would be positive to move them out. You said the 45mm calibre would replace the 40mm under barrel calibre and the 30mm grenade calibre across the services. I said the 40mm grenade you posted above might replace the 30mm grenade but it is too powerful to replace the 40mm under barrel launched grenade which is designed for much shorter ranges from a much smaller lighter weapon. Note the top two grenades are 45mm rounds for the DP-64, while the lower grenade is the 55mm round for the older DP-61 single barrel weapon. A long slim grenade optimised for automatic weapons... likely about to be replaced by the 40mm grenade fired by the Balkan. Which is unlike either of the other two calibres above... the larger calibre means higher drag and shorter range for a given muzzle velocity. GarryB wrote: You said the 45mm calibre would replace the 40mm under barrel calibre and the 30mm grenade calibre across the services. This is false GarryB. What I said is in my comments, not in your comments. I never said something about the replacement of 30mm launched grenades by 45mm launched grenades. I said explicitly the contrary, I said that in a process of standardization of the launched grenades to the current caliber system of the Russian Armed Forces, the 30mm, 45mm and 73mm grenade launched meassures would be to remain thanks to be coincident with the current standard calibers, taking also into account that the 73mm caliber is disappearing as caliber and it would affect to the launched grenades of 73mm (only the SPG-9, that is also fairly obsolete compared to the MANPATs and rocket granade RPGs). I mentioned not the new Balkan launcher of 40mm in the first comment because is not present still, but obviously would be affected. The introduction of the launched grenades to the system of standard calibers of the Russian Armed Forces would mean a redesign of the Balkan to 45mm instead of 40mm. Nothing out of touch. The time of the (M)T-12 in the Russian Armed Forces depends mostly of the needs of the Syrian gouvernment. In Syria at this point Russia is thinking very likely not only in the frontline needs, but also in the overall military capabilities of the country. Syria can not afford to have available only the material in the frontline, it is necessary for Syria an important stock of material in their own territory that can be feared by outside enemies and that can be enough to keep them outside of the war. Approximately Syria needs to keep the prewar military level and it means many Russian old material stored at this point in territory of Syria. It means the entire available stocks in Russia of the oldest Russian weapons (there is some reference in the first links of the message opening the topic). Approximately by the begin of 2018, the T-64, the (M)T-12 and the SPG-9 can be first in line for assistance of combat material to Syria, and depending of the intensity of the post-ISIS Syrian war, the needs can be big. To move the 40mm and 43mm grenades to the standard 45mm? There is no standard 45mm calibre... and even if there was the new 40mm Balkan auto grenade launcher which you posted pictures of is brand new and not in this new mythical 45mm calibre version. There are plenty of changes they can make to improve standardisation but unifying grenade launchers to all be 45mm is not one of them that makes sense. There is no advantage in making the Balkan a 45mm weapon rather than the 40mm calibre weapon it currently is. They wont save any money by making everything the same calibre.... making barrels is not that expensive. 40mm already is a standard calibre for grenades in Russia. The 45mm caliber has been, is part and will continue beign part of the standard systems of calibers of the Russian Armed Forces in at least a decent number of decades. If you are not able to see it is because you have not a global vision about the calibers of the Russian Armed Forces. Without include auxiliary ships and without include the 45mm launched grenades. Maybe you expect all them retired or "upgraded", to see the 45mm standard caliber totally retired. You will have to wait several decades. You are not offering a realistic view of the caliber, not about its present, not about its future. The 45mm caliber is the alone standard caliber present between the 30mm and the 57mm calibers, it makes very unlikely to see this caliber retired of the Russian Armed Forces, because it is just in the right place to cover the needs of armament of the Russian Armed Forces between the 30mm and the 57mm calibers (this is likely the main reason for its survival). The 45mm is a winner in the system of standard calibers of the Russian Armed Forces, and in the future you will see weapons of 45mm of the same type and role of the current weapons of 30mm, specially fast firing weapons. It is possible to include the launched grenades in the system of standard caliber and to advance in the standardization of calibers. The 30mm and the 45mm would be the current standard calibers for it. The 40mm launched grenades would be of redundant measure. Note: I updated my comment about the 73mm SPG-9 and the 43mm GM-93/94 (LPO-97) grenade launchers in the post opening the topic. Analyzing with more detail the situation of these weapon, in the case of the SPG-9 we see how the competence of this weapon with the man-portable launchers of rockets and missiles leaves this weapon in a very weak position that makes unlikely that can survive in the Russian Armed Forces to the campaign in Syria. In the case of the GM-93/94 (LPO-97) its low presence also makes unlikely this weapon can survive in the Russian Armed Forces to the campaign in Syria. It is to be expected that the SPG-9 and the GM-93/94 (LPO-97) be totally moved to Syria by the begin of 2018, as part of the military help to this country, disappearing totally from Russia, South Ossetia, Abkhazia and Novorussia, like explained at the begin of the first comment of this topic.